There are no photos with those IDs or post 15653 does not have any attached images! 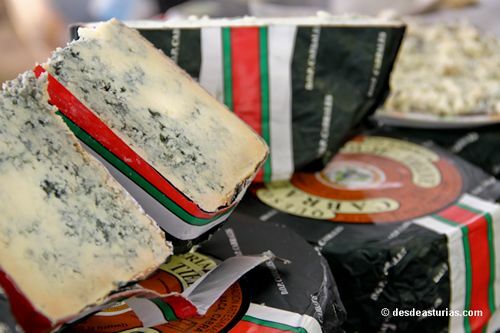 The idea of ​​the project "Association of the European Cheese Route"Was developed in the City of Idiazábal, Guipúzcoa, with the aim of agglutinate, around the municipalities that give name to their cheeses, all those socio-economic agents involved: municipalities, local and regional development agencies, shepherds, dairies and dairy cooperatives and of another type. In Asturias they have joined two municipalities of eastern AsturiasCabrales and Peñamellera Alta, as have other Spanish towns: Mahón, Manzanares, Morales de Vino, Casar de Cáceres, Ripoll, La Seu d'Urgell and Uharte-Arakil. These ten associated municipalities will form a network that will revolve around cheese as a quality product linked to the territory, of great tourist attraction and great socioeconomic potential. This union will also allow them to enjoy European aid to finance future programs or the improvement of infrastructures, since the association assumes the objectives of the European Commission's strategy for the 2014-2020 period, which seeks to promote European gastronomic products and their value through routes and itineraries of a cultural nature.